Most carpenter ants are large, black or reddish-orange ants, but they may be brown, red, tan or yellow, depending on the species. They are the largest ant species in North America. 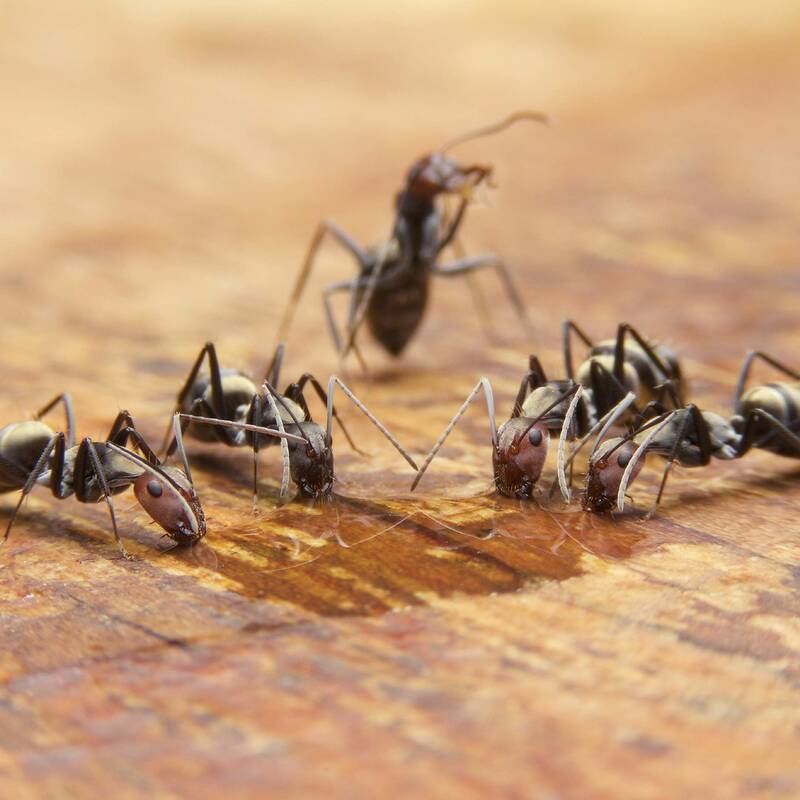 There are a couple of identifying characteristics that can help you distinguish carpenter ants from other ants. Carpenter ants have an arched, evenly rounded thorax and a single node between the abdomen and thorax. Additionally, carpenter ants have a line of hairs at the tip of the abdomen. 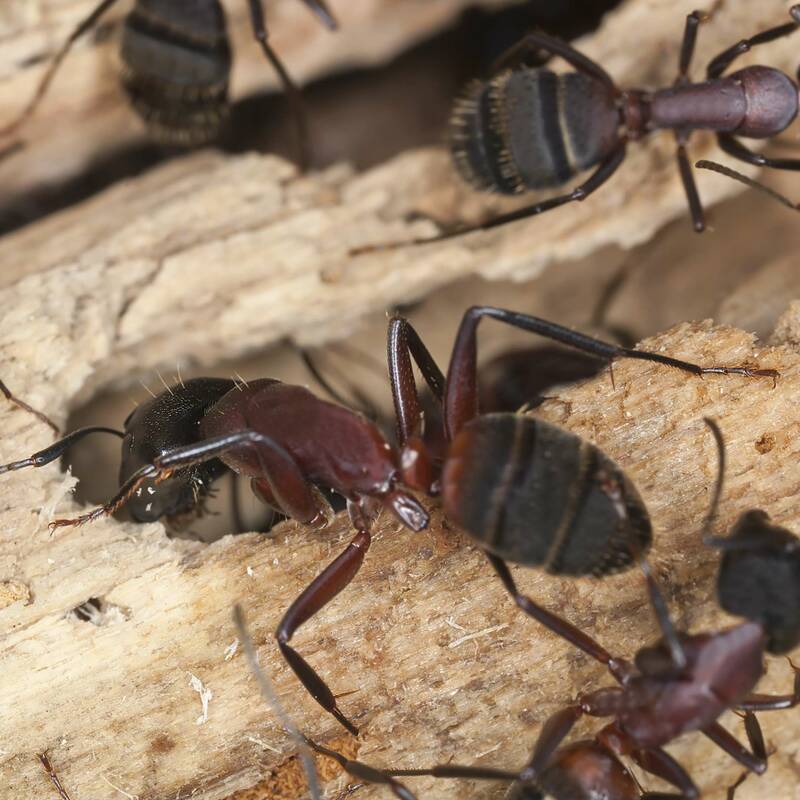 Carpenter ants don’t live in mounds of dirt; instead, they nest in damp, decayed wood. In your home, they may nest near chimneys or skylights, along door frames and windows, around sinks and bathtubs or other moist places. They don’t actually eat wood, but they tunnel through it to make their nests. 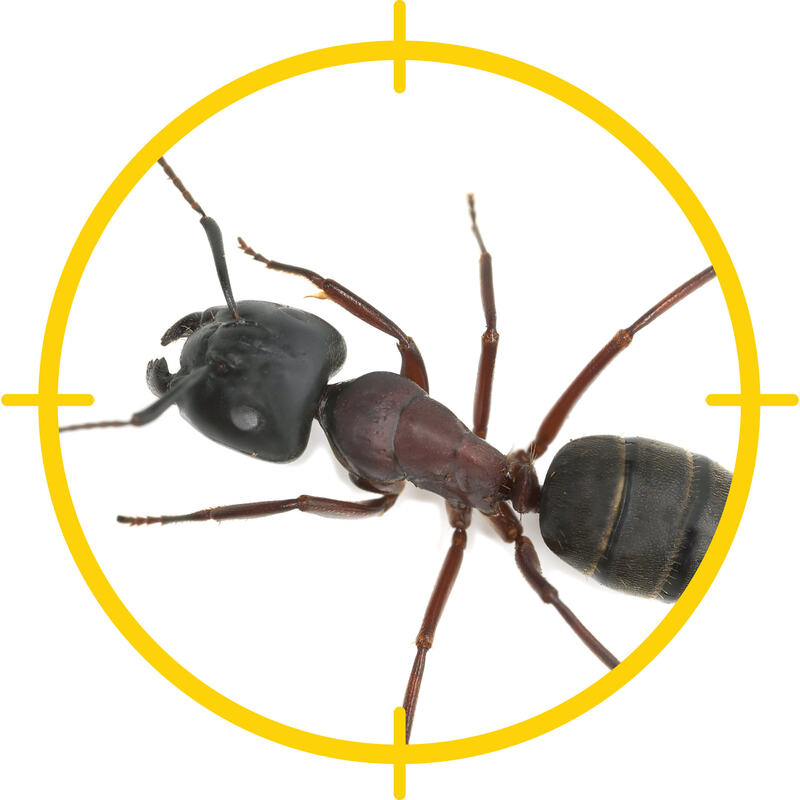 You can tell if you have a nest of carpenter ants in a wall by tapping on a suspicious area with a blunt object. Carpenter ants will make a rustling noise. The first step is locating the nest. While they often nest within the home, ants may be nesting outside and coming indoors in search of food. Once you’ve located a nest outdoors, apply insecticidal dust into the entry hole and along the trail. Ants will carry the substance back to their nests. You can also place ant bait at strategic points along the trail leading to the nest. If carpenter ants are in the walls, drill tiny holes on either side of the nesting site, then inject insecticidal dust into the holes. Replace wet or damaged wood inside your home. Ensure attics and crawl spaces have adequate ventilation. Trim shrubs and trees so they don’t touch your house.